Philadelphia University interior design seniors won the top two prizes and honorable mention in the International Interior Design Association (IIDA) Tri-State Chapter’s annual student design competition. Interior design senior Angelica Troiano with her winning IIDA project. This is the sixth consecutive year a PhilaU student has earned first place in the IIDA design competition for students in Pennsylvania, New Jersey and Delaware. Angelica Troiano won first place, Amy Leigh Hufford won second place and Nicole Criscenzo was awarded honorable mention. “Winning first place in this prestigious competition for six consecutive years is an outstanding achievement for our students and Interior Design Program,” said Barbara Klinkhammer, executive dean of the School of Architecture and the Built Environment. 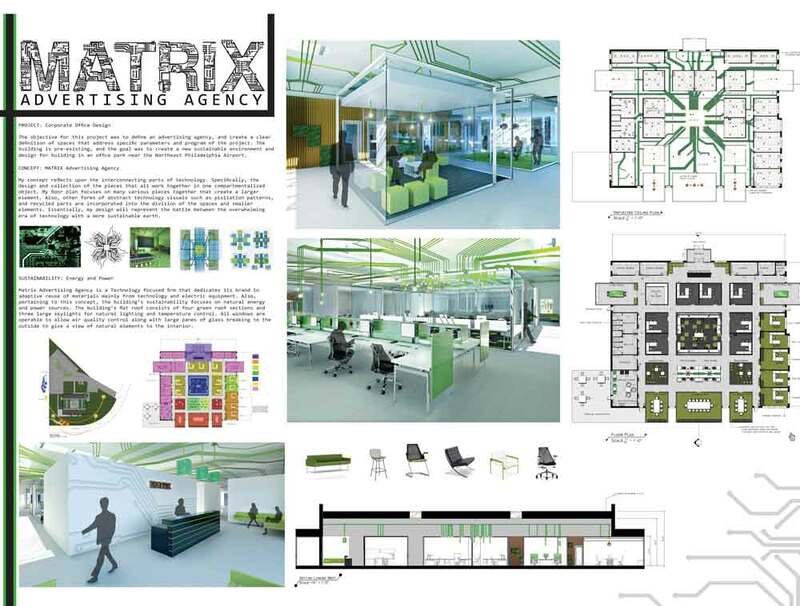 Troiano wowed the judges with her visitor-centric design for a sustainable advertising agency in an existing building. Troiano illustrated the battle between the overwhelming era of technology against nature and a more sustainable earth, featuring elements that mix these often disparate ideas. See her project on Behance. 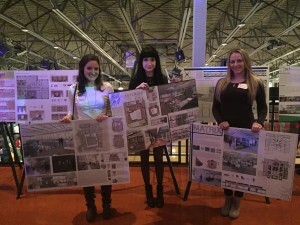 PhilaU IIDA competition winners (left to right): Nicole Criscenzo, Amy Hufford and Angelica Troiano. Hufford took second place for her design of an art museum, called The Neu Bohemian Museum. The judges said her overall presentation was very compelling and the concept was strongly developed and executed. See her project on Behance. 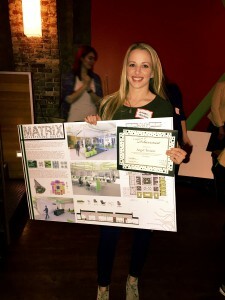 Criscenzo’s honorable mention for her design of a Germantown Art Museum can be viewed on Behance. Lauren Baumbach, director of PhilaU’s Interior Design and Interior Architecture programs, said PhilaU interior design students are so successful because the program effectively prepares students for real-world problem-solving and design challenges. Competition participants had to submit drawings from a project completed in the last year. Projects were judged by a panel of eight industry professionals on effectiveness of design solution, creativity, craftsmanship and overall presentation. Interior design student Angelica Troiano’s winning project.